Why are the piano keys arranged the way they are? Let's look at the piano keyboard layout and design and how it has changed over time. 5 black keys (a pentatonic scale. The black keys makes it possible to play in many different tonalities). This is all in all only 12 different keys. If you know where C is, you can then easily figure out the rest! The same pattern is repeated with higher (to the right) and lower (to the left) pitch all over the piano. Most acoustic pianos today have 88 keys, but there are keyboards with fewer. Keyboard stickers are a handy tool to learn the note names on the piano keys. 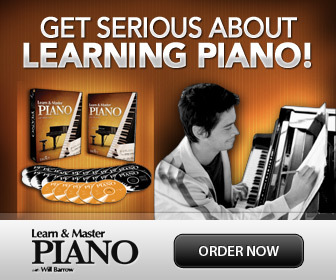 But why is the piano keyboard layout the way it is? One of the questions I often get as a piano teacher is why the keys on the piano are arranged the way they are. Actually, throughout time the piano keys have gone through many transformations and there have been many variations in the piano keyboard layout. All the way from the ancient Hydraulis to the modern piano of today, the piano keyboard and design has changed after the scales used, what materials were available, tuning of the time, as well as different ideas on how to best play those notes. Piano keyboard layout on an 18th Century Fortepiano. The pattern of the black and white keys has also changed. At times the layout of the piano keys was inverted, instead of the five black keys, they where white and the other way around. The white keys were traditionally made from Ivory (Yes- elephant tusks :( ) and Ebenholz or Ebony, a very strong black wood. Today the piano keys on a piano are made from synthetic man-made materials and wood. The scale on the white keys, from C to C, is the diatonic 7 note scale, also called C-major scale or Ionian mode, and from A to A, there is an a-minor scale (natural minor) or Aeolian mode. You can from each white key ascending (going up), play one of the 7 scale modes with only white keys. And using the chromatic changes with the black keys, you can change each scale (as well as create others) and also transpose (move) the scale patterns to start from any note. However, there are two important compromises; one is you can not play intervals smaller than a half step, and the other is that the modern piano is tuned in a well tempered tuning- resulting in that the notes in between them are all a tiny bit false. The number of keys is different from instrument to instrument. Most pianos since 1870 have 88 keys, but there are older grand pianos with even a few more, some pianos with less, and of course various electronic keyboards with much fewer keys. The size of the keys themselves has also varied. So basically the piano and piano keyboard layout has gone through enormous changes, and still continues to evolve.